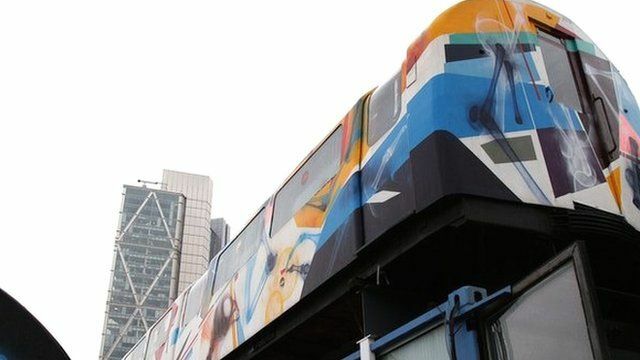 The Tube train that's now an office Jump to media player BBC News looks at a refurbished Tube train in London, which has become an unlikely office space for a group of workers. 'Cycle-in office' with ramp unveiled Jump to media player A new building is opening in central London which the architect claims is a first for the capital: A cycle-in office. Hipsters flock to treehouse office Jump to media player BBC News looks at an eco-friendly treehouse office that has opened in Hoxton, east London, designed for freelance workers. The lawyer whose yacht is his office Jump to media player As part of the BBC's series on unusual workplaces, we talk to the New York lawyer whose yacht is now his office. The pub where people play video games Jump to media player BBC News visits the Meltdown pub in central London where you can play video games, and watch international video game competitions live. The skyscraper that casts no shadow Jump to media player A team of architects in London has developed a way of creating skyscrapers that cast no shadow, using the latest computer design software. Climbing frame searches for children Jump to media player A team of robotic developers has built an interactive robotic climbing frame, that can roam designated play areas, ready for children to play with it. What is it like to work in a refurbished tube train car or carriage? For a group of people in Shoreditch, in east London, this is a daily reality, as they explain. You can read about more weird workplaces here. Know more unusual workplaces for doing conventional work, email us if you want to share your story.